Left-wing MKs slam perceived 'religionization' in the IDF during Knesset conference. 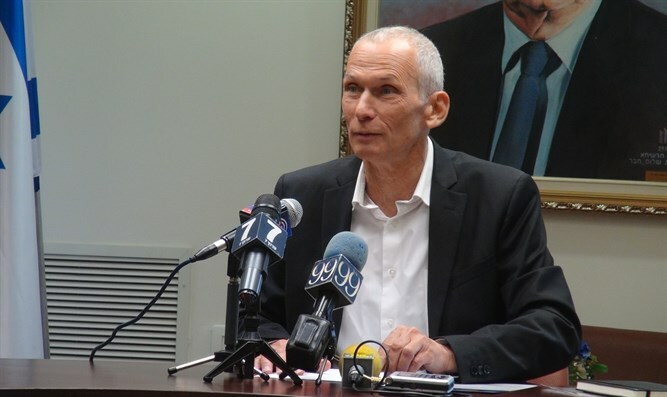 The chairman of the Knesset's Secular Lobby, MK Amar Bar-Lev (Zionist Union), attacked rabbis from the Religious Zionist movement as well as Brigadier General Ofer Winter. "In the last few months there has been a trend of religionization in the IDF, a process that during the periods in which I was in the army we did not know the phenomenon. Soldiers are asked to wear a skullcap, soldiers are not allowed to use coolers on Shabbat and other examples. Chief of Staff Eizenkot grabbed the hot apple and embarked on a series of moves, such as subordinating the rabbinate to the head of manpower and the joint service, but apparently this is not enough," Bar-Lev said. MK Tamar Zandberg (Meretz) said during the discussion, "There is a process here that has been dubbed 'religionization', whose goal is to make the public space conservative and religious and less universal. It began in the education system and continued to the IDF, forbidding female soldiers to wear white shirts and forbidding soldiers to light water heaters on Shabbat." "The IDF is the army of the people and the entire Jewish public comes to it to serve it, and it is not the army of the State of Halakhah. Its purpose is to protect the state and not the commandments, "Zandberg claimed.